I wanted to share with you a couple of Sunday School crafts we did with our preschoolers. The lesson was entitled, John Baptized Jesus. We used the craft above for our Four Year Olds. Cut waves into the top of a plain envelope. Color the envelope with a blue crayon. Glue to a piece of light blue construction paper. Draw a white dove using chalk. 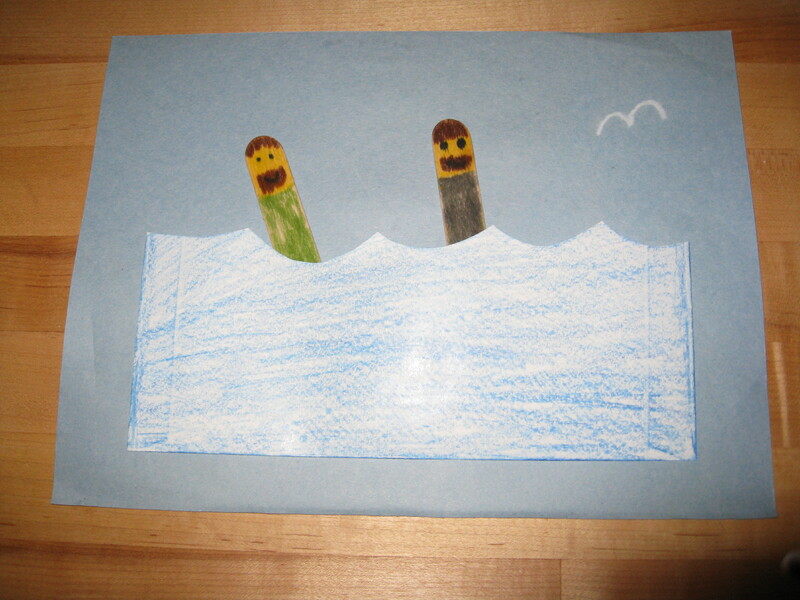 Decorate two jumbo craft stick men and put them in the “water.” We used regular markers for the sticks. 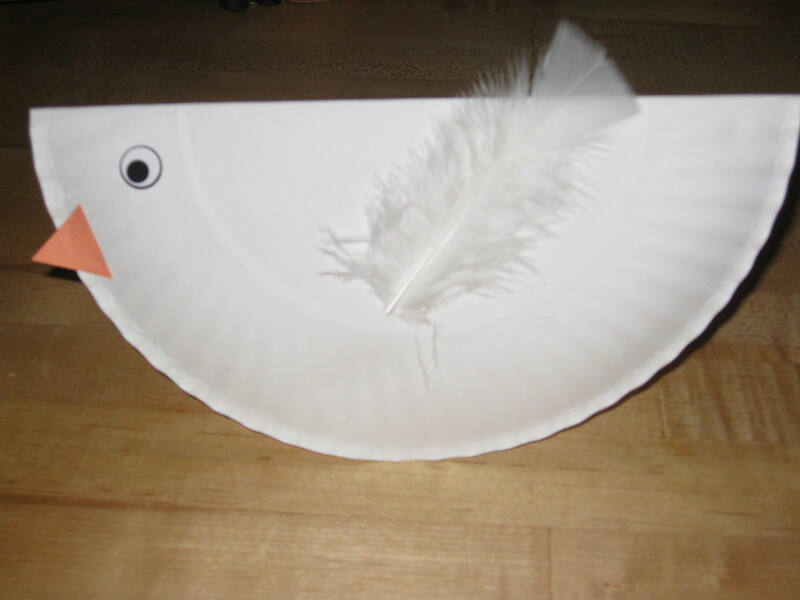 For our Toddlers, Two’s and Three’s, we made a simple white dove. Glue on an orange triangle beak.